This learning journey hosted by the Forum for Active Philanthropy and Tallberg Advisors to Greenland has convened some inspired global leaders on climate stabilization. 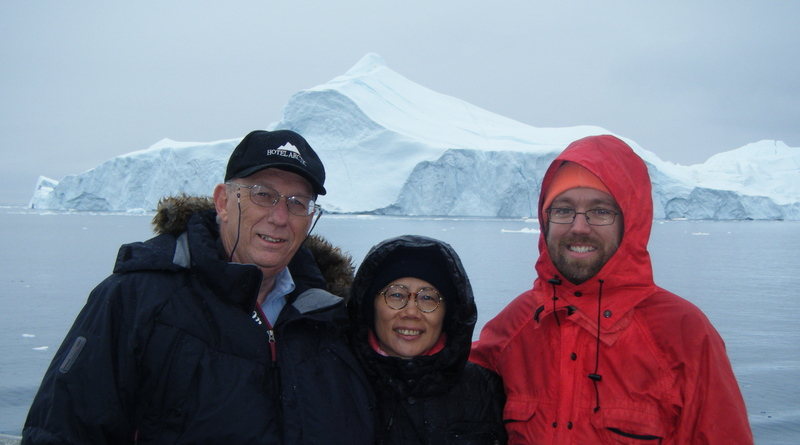 On a fishing boat that weaved between 150 meter high icebergs, I asked a big question to two of my climate heroes: energy reform star Christine Loh of Hong Kong and arctic scientist Bob Corell. What did they think that US climate leaders (particularly those simulation lovers like you guys) needed to know? Communicating the challenge and taking action — I love these two.